Here is a base map that you can try shading yourself. After downloading the jpg file, open it in Photoshop and draw a digital shaded relief with the airbrush tool, or print it on paper and draw with a lead pencil. 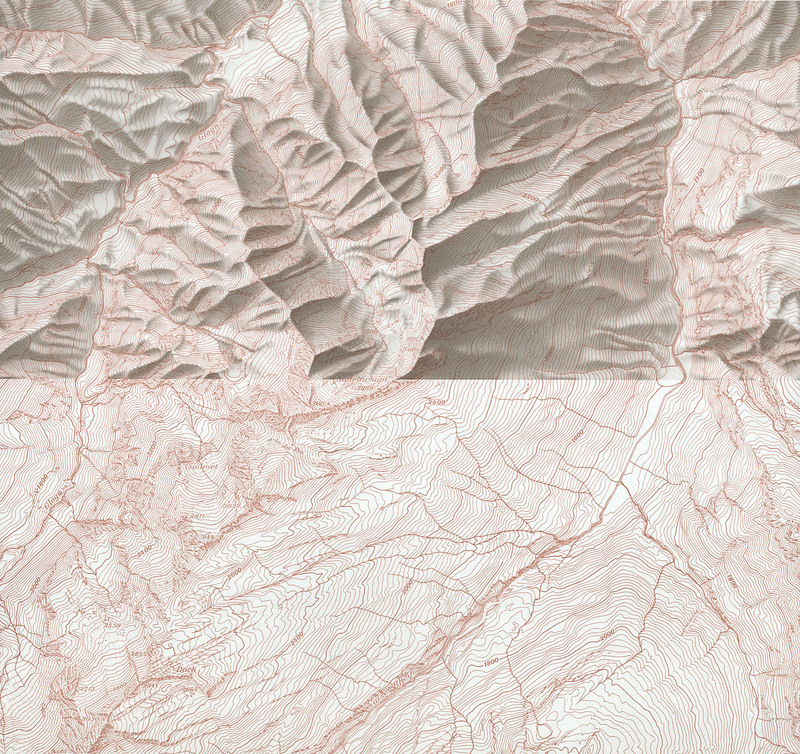 A base map containing contour lines and drainages on which to practice drawing your own relief shading. Have fun! Provided by © swisstopo. A short animation by Tom Patterson is showing the process of relief shading with Photoshop. 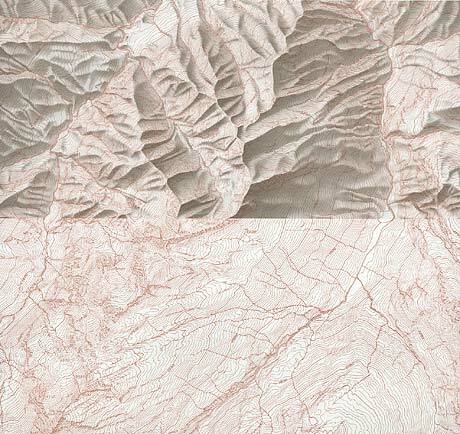 To manipulate a plan oblique shaded relief try this interactive web app or watch this video.